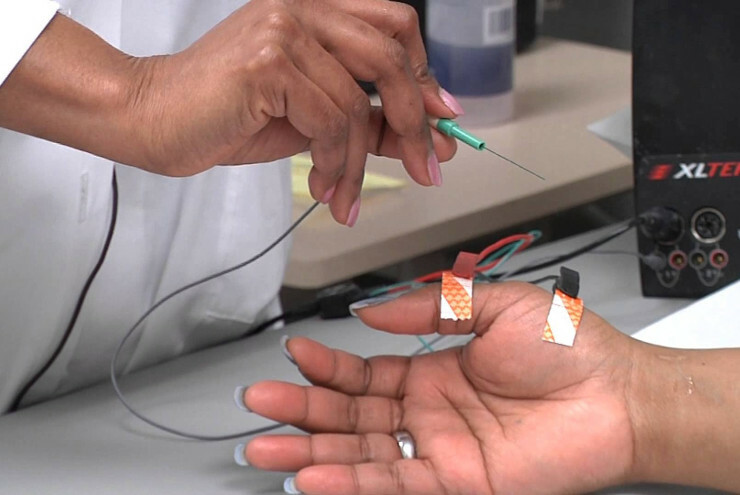 To perform an EMG test, a needle is inserted through the skin and into the muscle. The patient may be asked to contract the muscle to demonstrate electrical activity. The needle detects this, and the results are recorded visually on an oscilloscope. The doctor can then examine the results and determine if the muscle is responding to nerve stimulation normally. To learn more about EMG testing, contact our Neurology Center at 817-336-3968 .